Pretty lemon hue with aromas of light orange blossom, grass, sweet flower bouquet with a touch of honey! Palate-Tropical fruit salad, with grassy notes, and a fruity finish. The structure is a mite weak but still impressive. 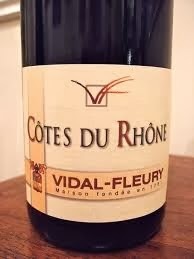 I got more than I expected from this inexpensive ($10) wine and I expect it to pair well with our broiled chicken breasts with Parmesan cheese and roasted acorn squash with sour cream potatoes. This is a very nice value and I expect I will buy a bottle or two more so raise a glass! Light golden hue with nice aromas of ripe pineapple, and sweet lemon. Palate--Nicely crafted with balanced elements of flavor and structure. Lemon beam with gentler tropical fruit notes. Finishes with a slight floral nuance and citrus. I paid $14 for this and it is a tasty aperitif as well as a nice food wine which I had with a gorgeous seafood chowder. Raise a glass! Very nice! This wine is still going strong. In fact, it may be getting even better than on release. I've worked through a half a case over the past 4 years that I bought for $20 a bottle, and wish I had some more. Raise a glass! When you want to step out of your white wine routine, try this Semillon from Torbreck in Australia. It's a bit different and has a nice flavor profile that should prove to be versatile and easy to enjoy. For that reason, I recommend it. Expect to pay $15 for the bottle, and raise a glass! Golden straw hue with aromas of lovely tropical fruit salad highlighting lemony citrus and creme brulee. Palate--Substantial varietal flavors with loads of tropical goodness with citrus under it all. It is nicely textured with a vanilla beam down the middle with excellent structure and a lingering tropical and green apple finish. A few days back I reviewed a Ch. 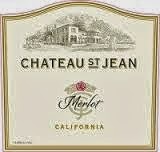 St. Jean Merlot and it was marginal. Wine maker Margot Van Staaveren is a genius when it comes to Chardonnay. This is at a table wine price point but tastes like it is twice the price of $9 I paid. Raise a glass to an always solid Chardonnay! Cranberry jelly hue with a bouquet of sweet red berry away from the glass, with gentle black berry and cedar in the glass. 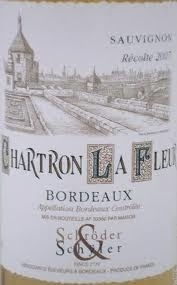 AS the wine breathes and warms up there is a big blast of black berry fruit and cigar box aromas. Palate--full bodied *minerally presence that is quite pronounced (I didn't expect that) with measured tannins loads of black cherry fruit and a fairly chunky finish with lingering fruit. *I had a filling replace four hours ago and I think it quite possible that the Novocaine injection may have affected my taster which might explain the very minerally first impression. 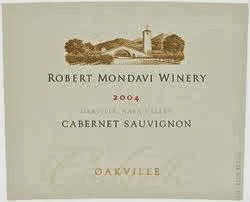 Robert Mondavi is of course the iconic Napa farmer who put Napa on the map in many ways. (NW) of this blog and myself visited the Mondavi Vineyard and winery in 2003 I think and just by chance we treated with running into Mr. Mondavi on the property where he was celebrating his 84th? birthday. It is beyond cavil that California wine country owes a great deal to this man and numerous others who brought California into the world wine market as a true leader. This wine immediately takes me to the place where I see Mr. Mondavi wearing a straw hat if I remember correctly as he took guests around his lovely estate. Ah, the memories wine evokes; there is nothing like it. I paid around $40 for this treat several years ago. It is tasty now but could have used another 5 years in the bottle. Raise a glass to the late King of Napa Cabernet and the man's legendary "To Kalon"(pronounced Toe Kalon) (the beautiful one in Greek) vineyard! Big fruit filled bouquet with jammy accents reminiscent of cranberries cooking down for Thanksgiving feast. Dark berry and dried cherry notes, (rose petals later) round out an interesting nose. 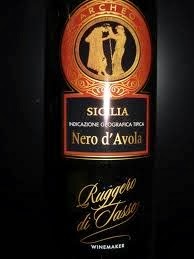 Palate--mouth filling but stifled black berry flavors with young tannins and some buried flavors of espresso? and possibly baker's chocolate. Needs to breathe! 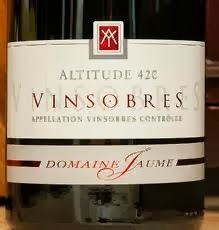 Vinosobres is an AOC wine designating origins of fruit from the southern Rhone where a typical blend would be Grenache, Syrah, and Mourvedre (pronounced Mor-Ved). This is 60% Grenache and 40% Syrah and holds real potential to be a juicy and balanced wine. It just needs another 2 years or so to come into its fullness. I found this at the $20 price point and will improve as it breathes. Raise a glass of this tasty Rhone! I've sampled a lot of Alamos Malbec over the years, but not much of the Cabernet Sauvignon. For $10, this is a nice value Cab from Argentina. I found it interesting that it was better the second night it was open (kept sealed in the refrigerator during the day). The green herbal note on the finish was less pronounced and the effects of oxidization were not obvious. I recommend this be added to your "every day wine" repertoire. Enjoy, and raise a glass! 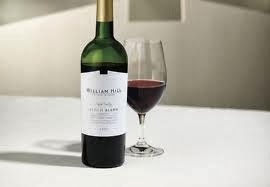 Black cherry hue with vegetal green pepper aroma first from the glass followed by black berry. Palate--somewhat coarse on the first impression with a clunky kind of presence in the mouth. Berry foundation with a quick finish. 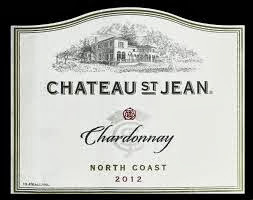 Chateau St.Jean generally produces wines at all levels that are well made and value wines as a whole. This tastes like it was made with unripe fruit. I would pass on this one. Wow! This wine delivers in abundance. It has an amazing nose that changes and unfolds depending on how you swirl the glass. The texture is plush and the finish is rich and lengthy. What a treat! PB, one of my co-authors on this site, nabbed a bottle of this several years back on clearance for $50 and was gracious enough to share it. Expect to pay more like $65 if you can track it down. I recommend it as a strong example of what Amarone can be like with a little patience in the cellar. Raise a glass! Palate--well made, with flavors of classic Nero D'Avola cherriness with an integrated spiciness that is reminiscent of Sangiovese. Finishes quickly but leaves a delicate impression of all you just drank. OK--the "get a grip" factor--I have reviewed numerous iterations of this wine available at Trader Joe's for--wait for it--$5! Now normally a $5 wine is something you might enjoy once if you're lucky or even partly through the bottle but then it turns on you. 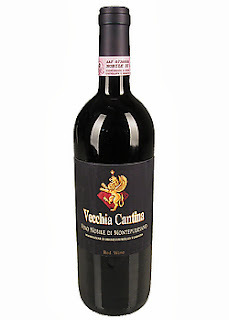 Not this wine--it is always made well, typifies the grape and is just plain good drinking, for the price; pair it with your favorite Italian fare. So all I can say is "Raise a glass" and you'll be glad you did! Ruby hue with saliva producing tart pie cherry aroma emerge first, sweet cherry above the rim, and a fleeting moment of milk chocolate. Palate--Juicy first impression, nice flavors with a beam of fruity cherry (grenache blend)with somewhat chewey tannins. Fleeting finish. My wife paid $14 for this and bought in on the recommendation of one of the employees where she purchased it. I have found that when someone is standing in front of you and makes a wine recommendation to you, that you can be pretty sure that at the very least, they really liked the wine enough that they are excited to see someone else enjoy it as well. The one caveat is that the person may have no real experience with a broad variety of wines which means their recommendation comes down to their preference. Even with this caveat however, my experience is that recommendations from one who works in the department are quite reliable. The bottom line is, don't be afraid to utilize the expertise of onw who works with wine daily. It can save you wasting your money regretting your purchase so raise a glass! 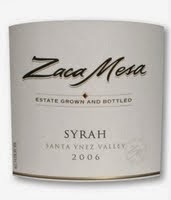 Nice garnet hue with aromas of swelling, rich, cherry, cigar box, glorious fennel emerging later, with cedar and licorice. Delightful! Palate--Sharp biting, immaturity yet showing what it is capable of--like a proud peacock. Subtle suggestions of cherry and chocolate, and more fruity cedar sprigs. This wine is still young and yet drinking beautifully. It is one of the best Merlots I have had in a long time. My friend brought it over to share and paid $26 for it. This is why you pay more for wine with character, class and above all, delicious, fruity goodness. Finishes with a lingering suggestion of all that is there. Raise a glass of this gorgeous quaff. This wine is big, dense, and modern. There's ripe fruit and interesting layers with a grip of moderate tannins on the finish. Made from Grenache, Carignan, and Syrah in the Montsant region of Spain, it's a bargain in the mid-teens. I paid $13 and should really stock up on some more. Recommended for crowd pleasing- so raise a glass! This wine is made from Sangiovese in the shadow of the great Brunello di Montepulcianos. It's not particularly lively or robust. In fact, it's a bit flat. Take a pass for $16 and read some of our recent review of excellent Tuscan reds in this price range.